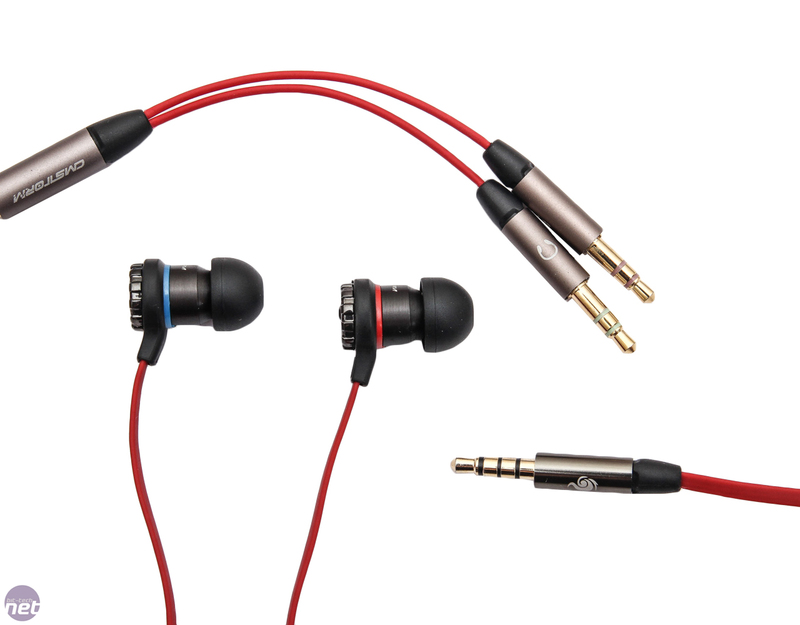 In-ear earphones aren't everyone's cup of tea and we've rarely if ever covered them on bit-tech; we see plenty of people using full-size headsets instead even on trains and other confined places where you'd assume in-ear models would be far less cumbersome and easier to carry around. 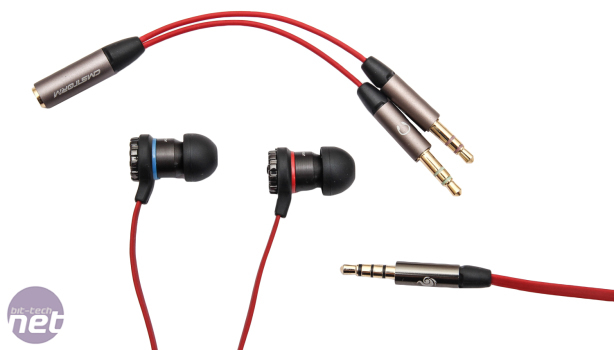 Each to his own, but price-wise, there's just as much variation with these types of earphones as there is with their larger counterparts. Some of the best-sellers are undoubtedly the sub £40 gems that you'll find highly recommended on Amazon with hundreds of glowing reviews with one or two finding their way into respected audio review round-ups too. Sennheiser CX 300 and SoundMAGIC E10 are just a couple that spring to mind, with Sennheiser already having an established PC/gaming presence. 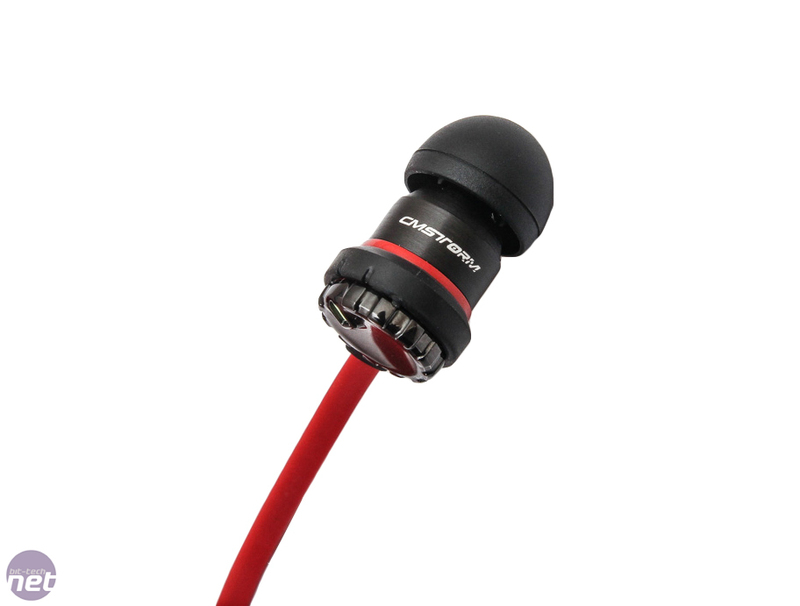 CM Storm does too but the move into the in-ear earphone arena is a rare one. Full-size headsets are far more popular, probably because they include decent microphones and/or USB sound cards. 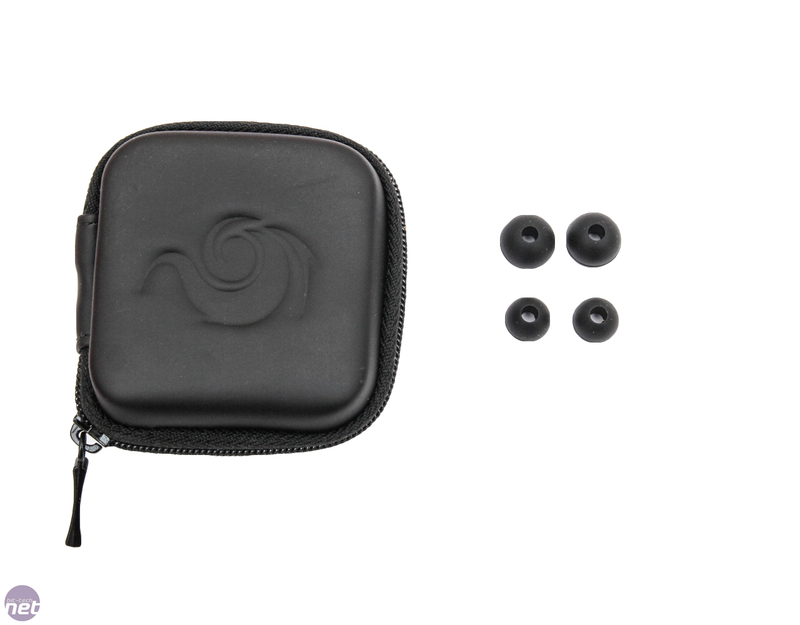 However, CM Storm's Resonar in-ear headset includes more than just a microphone - it has an adjustable bass too. Specifically, it has the ability to alter what's called Bass FX - a frequency response boost that can be applied by twisting a dial at the rear of each earpiece and serves to give the sub-800Hz audio spectrum a slight lift in the decibel department. This is pretty impossible with them installed in your ears, so it's not really an on-the-fly adjustment as you'll need to remove them first. 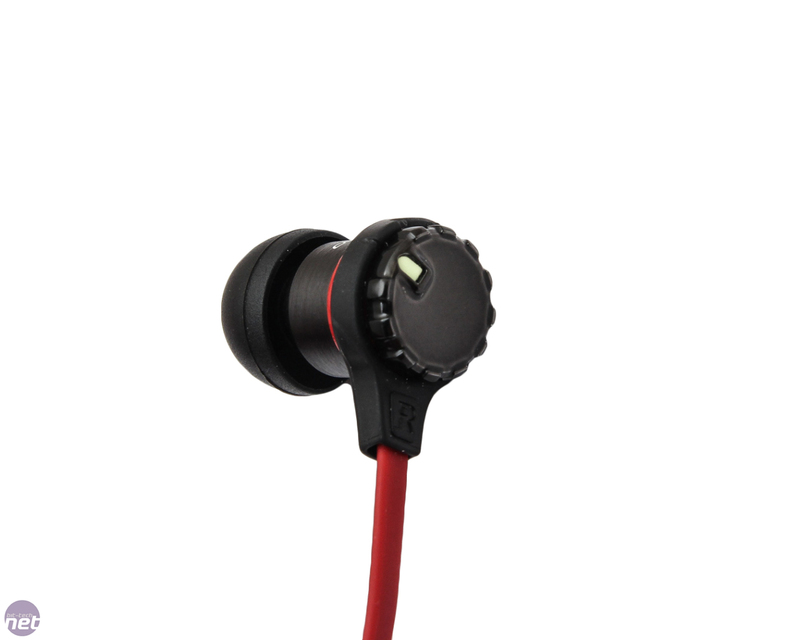 The earpieces themselves sport 8mm drivers encased in an aluminium housing. In all honesty they feel great and much more sturdy-feeling than a pair of SoundMAGIC E10's we had to hand. 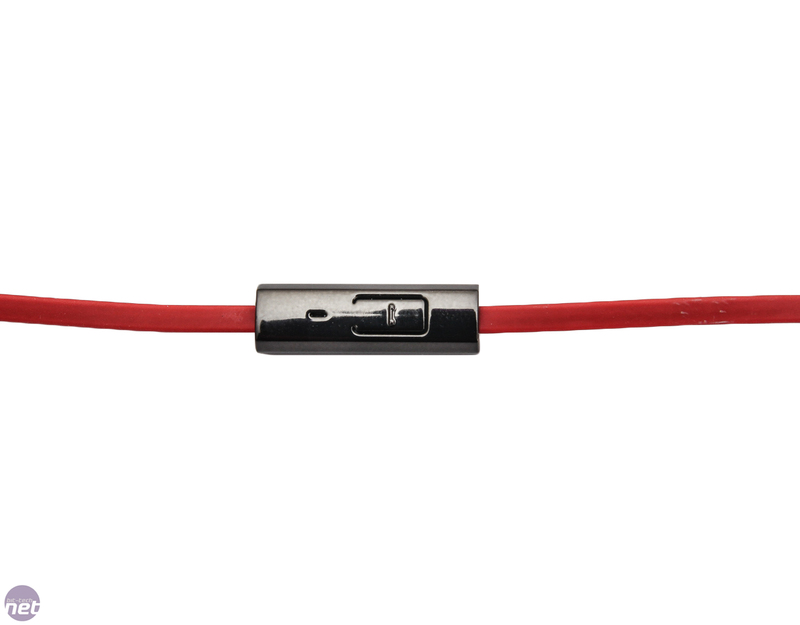 Like the E10's, the Resonar claims its cable is tangle-free, however it wasn't quite as adept here, despite the flat cable, but you'll still be safer from those dreaded messes than bog-standard types. There's a microphone splitter included in the box so the Resonar will work happily with PCs or mobile devices, with the latter benefiting from an in-line remote that can switch between music and call modes. In PC mode the microphone is always on so you'll need to disconnect the appropriate splitter part if you want it muted. The quality isn't great either - more specifically it's too quiet and you'll likely need to hold it near your mouth, especially for the first few seconds of voice activation. Included in the box is of course the splitter cable, but also a handy hard case with several alternative ear tips, although we've seen more substantial tip selections with other manufacturers. Of course all this is fluff if they don't sound great and we were actually quite surprised here. 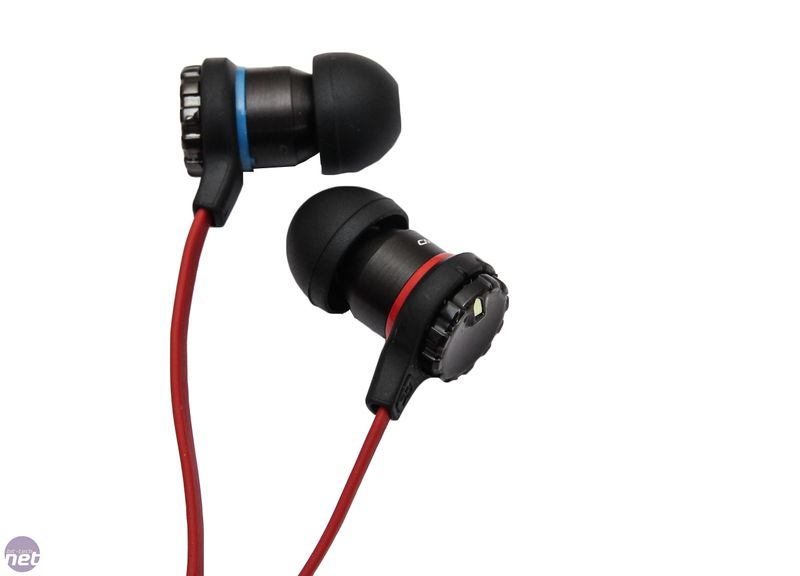 The bass is easily more powerful than that in the E10's for example and it coped well in the mids and highs too. The Bass FX introduced a tangible difference to the bass although in both cases, even with Bass FX set to maximum, while powerful, it lacked the finesse of the E10's. The latter were sharper and more defined here, despite them lacking the low down thumps of the Resonars. However, delve into a more bass-dependent environment such as Dubstep or bullet and tank shell-infested gaming sessions and the Resonars leap ahead of the E10s providing a satisfying punch and lively, capable bassline while not killing the mid and high end. Vocals aren't quite as clear, though, and most headsets will enjoy an advantage here too, but you'd be hard-pressed to find a £30 headset that pleases your ears as much as the Resonar. Comfort-wise, the trio of included ear tips should cater for most, and the aluminium body means they're fairly light too. The only issue we found is that the body is fairly long so if you're intending to lay down with your ear on a bed or sofa, the tips do get pushed, which is uncomfortable. Again this isn't something you'd find with many sub £40 earphones, but a lot of the more expensive models do sport longer bodies to house their larger drivers and other circuitry. Rather than being a tick box addition to CM Storm's line-up, the Resonar competes surprisingly well with established in-ear headsets such as SoundMAGIC's E10. The latter are arguably better all-rounders, but then most people will likely be buying them for music playback on their smartphones rather than for gaming, while the Resonars could be a valuable addition to your LAN party rucksack. The microphone is a tad disappointing, and some music genres won't be suited to the bass-centric output, but where the bassline is important, they punch well above their weight. 2015 redesign boosts bass, apparently.